I am very happy to have joined the staff of this parish as the Catechetical Coordinator of Faith Formation for the K through 5th grade levels. I look forward to continuing the program established by Karen Beattie, and in so doing to become better acquainted with this worshipping community. I have been a resident of Troy for the past 19 years, where I live with my husband and our two teenaged children. 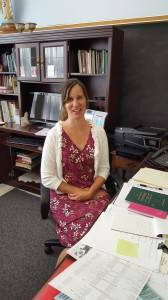 I was employed for the past four years as the Religious Education Coordinator at our parish, Sacred Heart Church in Troy, and had been a catechist of 2nd graders in the previous three years. 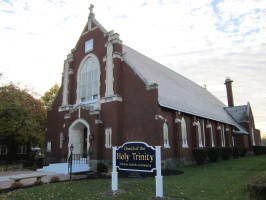 ©2019 The Church of the Holy Trinity -- Cohoes, NY All Rights Reserved.